The tails on leopard geckos are one of the most fascinating parts of their bodies. Their tail should normally be fatter than their stomach area. Leopard geckos that have a real thin tail are unhealthy or possibly sick. In this article, I want to discuss everything about leopard geckos tails. Like a lot of lizards, leopard geckos can drop their tails. They do this to distract the predator that might be trying to eat them. Their tails keep moving for a short duration of time after it detaches. It is a defensive mechanism that distracts the predator long enough so they can run into a hide. Don’t freak out if your gecko drops their tail – it’s a natural mechanism and won’t harm them long term. Just remember they are going to be more scared about it than you. So let your gecko chill out quietly in their hide for about 30 minutes to an hour. If you try to pick them up after losing their tail, they will be very panicky. So leave them be for a while to calm down. You might need to calm yourself at the same time as it can be a bit distressing to see. But don’t worry, just remember, it is a natural defence mechanism. If your leopard gecko is in the sand, I would remove them right away though. The reason is that we don’t want sand to get in their wound – it could get infected and they could even die as a result. If your leopard gecko has cage mates, remove the one that lost their tail and keep them on their own for a while. In their new habitat make sure you just use paper towels or gecko carpet for a substrate. With their moist hide make sure you remove their moss. You don’t want that to get in their wound. I would use a paper towel for their moist hide. You can use a disinfectant with a cotton bud to treat the geckos wound – just gently dab the area. I found this excellent article on disinfectants for reptiles: click here. If you notice that your leopard gecko is swelling up, oozing or getting red you might want to consider taking them to the vet right away. Since a good amount of their food reserve is stored in their tail, you are going to want to make sure you give them plenty of food so they can recover quicker. I do recommend getting some wax worms because they help fatten up your leopard gecko. Only give them 2 or 3 wax worms a day because they can get addicted to wax worms. It’s important to feed them extra calcium to make sure they are getting the proper nutrients to recover quickly. How Long Does A Leopard Gecko Tail Take To Grow Back? If you feed them properly, it usually takes about 65 days for it to grow back fully. It won’t ever look the same, though. Instead, it will be smoother and have a knob shape to it. Can You Stop A Gecko Losing Their Tail? It’s common for leopard geckos to drop their tail if they are frightened. Maybe you picked them up by their tail, and you freaked them out. If so, just make sure you handle them more carefully, and don’t pick them up by the tail. Then it shouldn’t happen again. Sometimes leopard geckos fight (even two females). So it’s important to separate them if they are fighting. Two males should never be housed together. 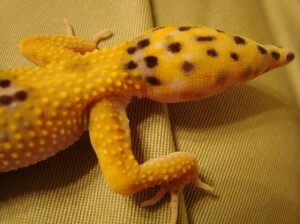 Personally, I have never had my leopard geckos lose their tails. But in case it ever happens to you, at least you now know why – and what to do about it. Geckos do use their tails for communication – so you can sometimes tell how they are feeling by what they do with their tail. So what does it mean when a leopard gecko shakes its tail? If they are waving or shaking their tail slowly, this is normally a signal to other geckos to say “I’m here, and I know you are there too”. Often they will lower their bodies to the ground when they do the slow tail wave. The fast tail wave/shake is typically done by a male in the presence of a female. It’s a sign to let the females know that there is a male about, and that he knows the ladies are there. As you will probably know, geckos can ‘drop’ their tails if a predator is after them as a diversion tactic (“eat that not me!”). But this is extreme – it takes a lot of effort to regrow a tail, so they don’t want to be doing that often! So geckos have a defensive response where they will lower their body while keeping their head high to look at the source of the threat. They then point their tail in the air and slowly wag it. This could be in response to a predator, another gecko that they are wary of, or even you if you surprised them or they aren’t used to you yet. 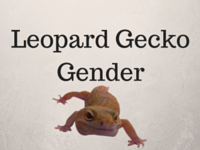 This behaviour applies to males and females so if you see a female leopard gecko wagging her tail at a male, then she is probably not sure of him and being defensive. If you see your gecko in this posture, don’t pick them up as you are likely to scare them even more and get bitten. Instead just stay calm, still and quiet until your gecko realises you are not a threat and relaxes. If you are trying to get your gecko used to you so you can handle them, then just take your time. You can build up to slowly moving your hand into the tank – not near your gecko, keep it at a distance – and then hold it still. Your gecko will learn that it is not a threat after all and eventually it will come and investigate instead of behaving defensively and/or running to hide. So if you see your leopard gecko waving their tail at least you now have a better idea of what is going on in their head. PreviousCalcium Sand For Leopard Geckos? 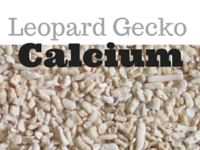 Calcium Sand For Leopard Geckos? My leopard gecko has lost his tail what should I do? Don’t panic, it’s not as bad as it seems :-), and read this bit on care after tail loss. My gecko hasn’t eaten in two days but her tail has gotten a lot bigger, is that normal? I have a female leopard gecko around 15 years old. She’s a great size, eats really well, but her tail doesn’t grow fat like I see with most geckos. Instead her tail is long and fairly chubby, about as thick as my thumb. I guess my question is. Is it normal for the tail to grow long and slightly chubby instead of getting super chubby and being short? A friend of mine has a gecko. It shed its tail a few weeks ago, and she hasn’t been eating! However, her tail seems to be growing back?! I have a leopard gecko that is 16-18 years old. His tail is skinny. I don’t think he’s storing food in his tail like he used to, however he is still eating. Is a skinny tail common in older leopard gecko’s? It depends what you mean by skinny. There is a condition called stick tail which is most commonly caused by an intestinal infection, and this can lead to a thin tail. You should really take them to the vet to get properly assessed. If they ever hatch, do u have to seperste the babies from their parents? How many babies can they have at a time? I haven’t ever owned a leopard gecko, or indeed a gecko of any kind, but I think they look really pretty and I would do my very best to look after them if I did have any. Articles like this one are very informative and I learned things I never knew before. For those who do own a lizard like this, I am sure that the tips about keeping males apart and females apart is very helpful, and especially this part about the tails, because that must be very alarming for both pet and owner when it happens. It’s good to know it can have a happy ending. 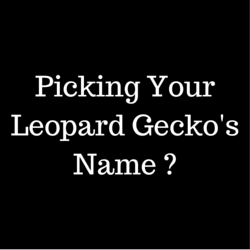 I did have a question about leopard geckos and shaking their tales really slowly. What does this mean? When they are moving their tail very slowly they are usually just letting you know they are there. I have written an article on their body language. That is fascinating! I’ve heard of star fish shedding a limb like that but I didn’t know that geckos would do it with their tails. I appreciate that you’re giving advice about what to do if it happens, even though it’s never happened to you. It shows you’re really passionate about these little guys. This is my first time reading about a leapord gecko. What an amazing type of lizard! I found it interesting how they drop their tails as a defensive mechanism to distract the predator long enough so they can run into a hide. I like how you provide a first aid wound care in case anything would happen to it. Thank you for sharing! Do any of their other body parts grow back? Yep, I once had a leopard gecko that was fighting with a cage mate and ended up dropping his tail. Some sand got in his cut and it started to swell up a lot. I had to take him to the vet and we had to give him some medicine. It took him 5-7 days but he recovered and his tail grew back after about 45 days. I was sad but I am happy he didn’t die. He’s a great little lizard. Thank you for sharing this information. I think Leopard Geckos are adorable. I use to have salamanders when I lived back east, and found them to be amazing little creatures. Wishing you all the best with your little friends.